Xiaomi has launched its first Android Go affiliated smartphone, the Redmi Go in India at an event in New Delhi today. 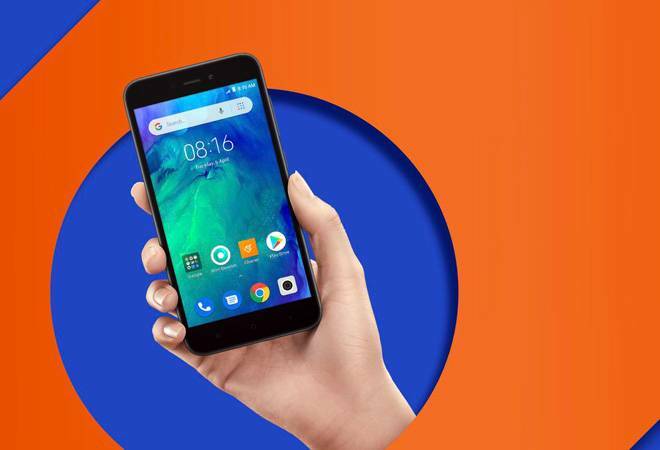 The entry-level Xiaomi Redmi Go has been priced at Rs 4,499. The device will go on sale for the first sale on March 22 at 12:00 noon. Reliance Jio is offering additional benefit of Rs 2,200 cashback and 100 GB of free data with the purchase of the device. This is the first smartphone by Xiaomi to feature the lightweight Go version of Android operating system. The Redmi Go sports Android Pie is based on Android Go programme. Despite the toned down fork of Android, Xiaomi claims that the users will be satisfied with the performance and usability of the phone. It will occupy only half the space as compared to the regular version of Android, Xiaomi has claimed. The Redmi Go supports the Go suite of Google apps, including Maps Go, YouTube Go, Files Go and more, which are streamlined to work on Android Go. The device can run lighter versions of social media app like Facebook, Twitter, WhatsApp, and TikTok, among others, as well as cab-hailing applications. These applications are smaller in size and will help with better RAM management, while maintaining the level of utility compared to their full versions, Xiaomi claims. On the inside, the Xiaomi Redmi Go runs the quad-core Qualcomm Snapdragon 425 processor clocked at 1.4GHz. The device comes with 1GB of RAM and 8GB of internal storage, which can be expanded to 128GB with microSD card. The Redmi Go draws power from a 3,000mAH battery, which Xiaomi claims can last for 10 days. This should not be a problem considering the minimal hardware and lighter operating system on the device. The screen on the Redmi Go is a 5-inch HD panel with 720p screen resolution. On the optics front, the Redmi Go has an 8MP rear camera with an LED flash and the basic smartphone camera functions. At the front is a 5MP selfie shooter. The Redmi Go also features dedicated dual SIM support, and a dual-mic noise reduction setup, the only one to do so in the entry-level segment, for better call quality. Connectivity features on the device include WiFi 802.11 b/g/n, WiFi Direct, WiFi hotspot, Bluetooth 4.1, GPS, A-GPS, GLONASS, BDS, and microUSB 2.0. Design-wise, the Redmi Go has huge bezels, three capacitive touch buttons at the bottom of the screen and a plastic build. But the brushed metal finish makes it look costlier than it actually is. It will be available in black and blue colour options.